A two-day workshop precedes the Mid-term conference of RN22 that gives PhD students the opportunity to discuss their research with experienced risk scholars such as Prof. Jens Zinn and Prof. Anna Olofsson. The PhD course will provide participants with a wider understanding of the theoretical foundations and practice of social sciences risk research. Dr. Jens Zinn will give introductory lectures into conceptual frameworks and research strategies on risk while most of the time will be used to discuss the research of the participants. The workshop is intended for PhD students in the social sciences interested in a sociological approach to risk. Jens O. Zinn is Associate Professor in Sociology in the School of Social and Political Sciences at the University of Melbourne (Australia). 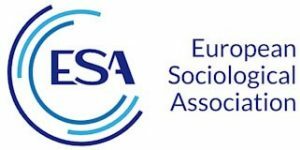 He founded two international risk networks within the International Sociological Association (ISA) in 2006 (TG04) and within the European Sociological Association (ESA) in 2005 (RN22) and was President of these networks for many years. Most well-known publications are Social theories of risk and uncertainty with Blackwell (2008), Heading into the unknown: Everyday strategies for managing risk and uncertainty (2008) in Health, Risk & Society. With P. Taylor-Gooby he published Risk in social science (2006) with Oxford University Press. Anna Olofsson: Professor in Sociology, Director of Risk and Crisis center, Mid Sweden University. She is a Board Member of the interdisciplinary research network ‘Society for Risk Analysis Europe’, the thematic group ‘Sociology of Risk and Uncertainty’ which is part of the International Sociological Association and member of the Scientific Council of the Swedish interdisciplinary research network ‘Riskkollegiet’. She has published on topics across sociological risk research in for example Current Sociology, Health, Risk & Society, Critical Discourse Studies, Risk Analysis and Environment and Behavior. You can apply or find more information here.